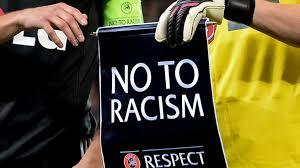 “We will not hesitate to do everything in our power to eradicate racism, and any other form of discrimination, from football, at any level and anywhere in the world,” Infantino said in a weekend statement. Infantino referred to the “three-step procedure” applied by both FIFA and UEFA, a measure that was brought in at the 2017 Confederations Cup which allows a referee to stop a game, suspend it and ultimately abandon it altogether if racist abuse persists. England defender Rose, meanwhile, went so far as to say he was looking forward to retiring from the game in the future because of ongoing racism and a lack of action from authorities. Whatever that temporary mission was, it doesn’t seem to have had much of an effect. In fact one could argue that its work is needed now more than at any time since Infantino came to power.